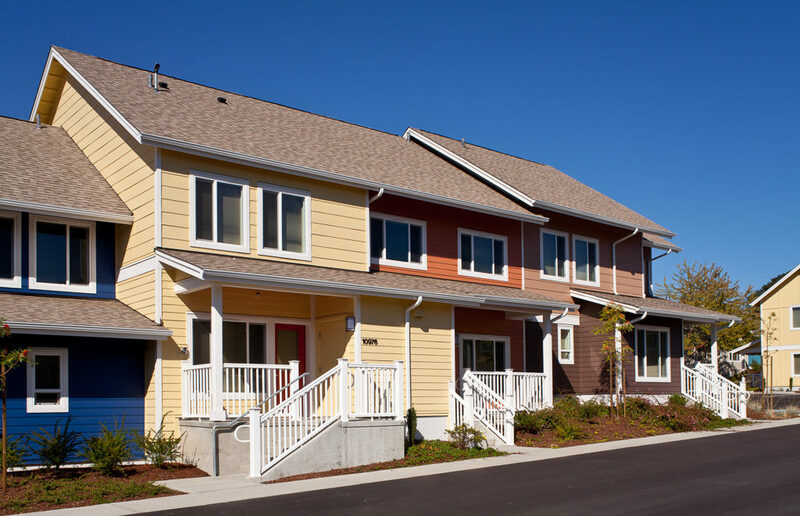 Seola Gardens | WALSH Construction Co.
Seola Gardens is a 31-acre community in Seattle with mixed-income rental townhomes, flats, and affordable senior apartments. Walsh is providing GC/CM servides for the development, which includes three phases of affordable homes and infrastructure, including roads. The project began with demolition and abatement of 167 units of 46-year-old public housing. 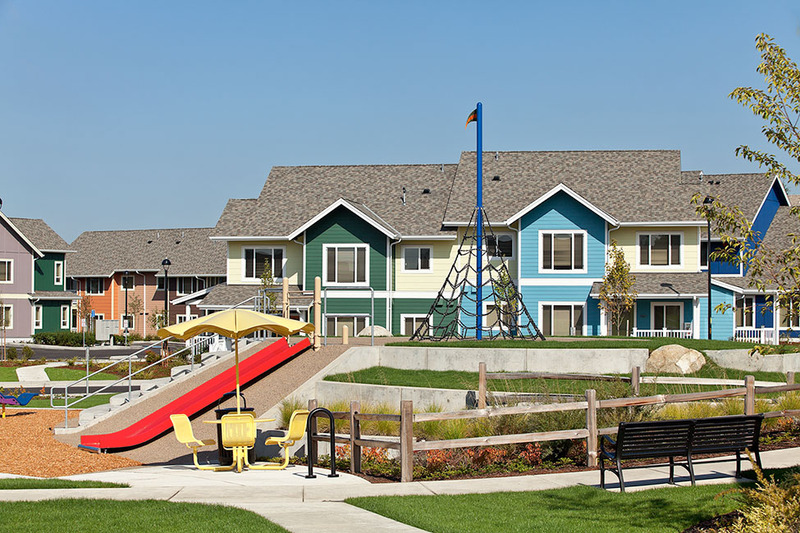 The 177 new rental homes are designed in a variety of styles and connected by parks, community gardens, and public trails and pathways. Zephyr Homes at Seola Gardens is the first phase, with 25 homes totaling 33,000 SF, in a mixture of affordable rental townhouses and flats built in duplex, triplex and four-plex units. Scope includes parks and infrastructure, and remodel of an existing Head Start Center. Subsequent phases include: Fairwind Townhomes & Flats at Seola Gardens, with 87 homes, parks and infrastructure; and Joseph House Senior Building, affordable senior apartments with 65 homes in one-and two-bedroom designs.